In addition, they say Huawei stole trade secrets from the American company, T-Mobile. They say Huawei engineers secretly took photos of a robot made by T-Mobile and tried to take part of it from T-Mobile's lab. 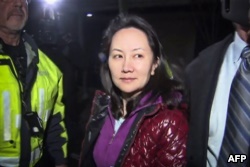 American government lawyers have also charged Huawei's chief financial officer Meng Wanzhou. Meng is being held in Canada, where she was arrested in December. 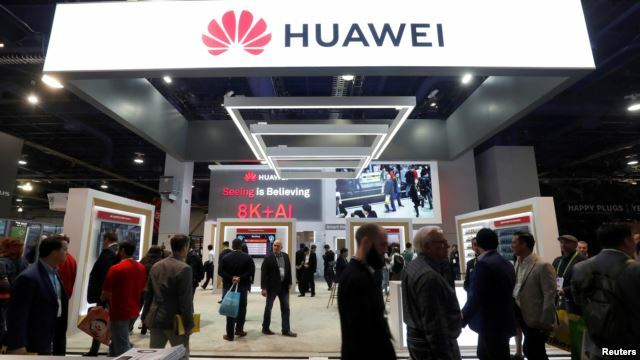 The Chinese foreign ministry has called on the U.S. to end its campaign against Huawei and other Chinese companies, calling the actions "unreasonable." Huawei also rejects the U.S. charges. The company is one of the world's biggest providers of phone and Internet equipment; half of its sales come from outside China. For the past 10 years, the company has denied U.S. accusations that its equipment could permit it to spy for China. It says the U.S. has no evidence to support the accusations. 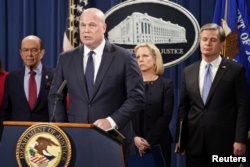 On the U.S. side, the Huawei charges show some officials' and business leaders' main objections to Chinese actions. They argue that Chinese industries require U.S. and other foreign companies to share technology in exchange for access to Chinese buyers. They also say that Chinese industry insiders sometimes steal information. Robert Lighthizer is the U.S. trade representative and the lead negotiator in this week's talks. He wants China to strengthen its protections of intellectual property. He also wants it to stop unfairly supporting state-owned businesses. But in earlier talks, Chinese officials have not shown any interest in accepting U.S. demands. Chinese officials deny the claim that they force U.S. companies to share technology. And they say supporting their state-owned companies and gaining new technology is critical to China's economic development. "If they think they can get the deal that they want, they won't cancel the talks over Huawei," he said.